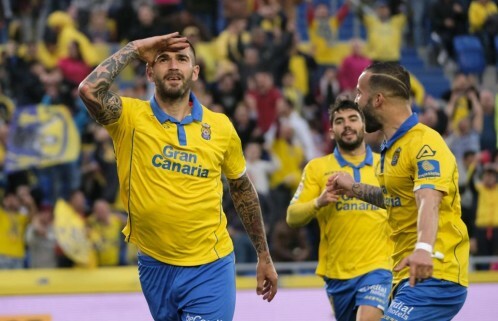 Las Palmas are back into the winning way with a brilliant second half display against bottom of the table side Osasuna. Los Amarillos have got their very first victory after 5 matches in the league. After 4 consecutive defeats Quique Setien’s lads were on the edge of the victory for the first time after the January against Real Madrid on the last Wednesday night at the Santiago Bernabeu. But unfortunately, Los Blancos stole a point with the courtesy of a Cristiano Ronaldo Brace. 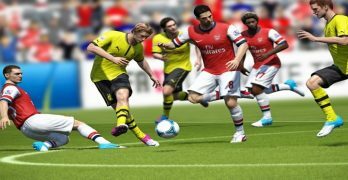 But this time the luck smiled on Los Amarillos when they hosted Osasuna in a Liga BBVA clash at the Del Cerro Grande on the Sunday evening. Despite trailing at the end of the first half the Yellows pulled off an easy victory at the end and their fans went home being happy. Spaniard attacker Jese Rodriguez opened the scoring on the 7th minute to give the home side an early lead. It was the very 1st goal of the season in a Las Palmas shirt for 24 years old former Real Madrid forward. Osasuna went to the break with a 2-1 lead as their 23 years old attacker Kenan Kodro struck twice in the quick succession. The Spaniard has scored 4 goals so far in this campaign. The hosts found themselves in a situation of bother but their Croatian striker Marko Livaja came forward and levelled the line for his side on the 55th minute with his 7th strike of the campaign. Los Rojillos’ Unai Garcia who is yet to open his goal account this season put the ball in their own net and the own goal gave the opposition a 3-2 lead with around 20 minutes left on the clock. 27 years old midfielder Roque Mesa Quevedo scored the 4th goal of the match for his team on the 76th minute and the hosts could smell the victory. It was the maiden goal of the season for him. Jese who had opened the scoring also closed it with a 87th minute strike to sum up the result of the game which went his team’s way with a 5-2 victory. The misery continues for Osauna as it is their 6th defeat on the trot and they are getting more closer towards the relegation. Las Palmas remains at the 12th position in the league table with this victory and they have got 32 points beside their names from the first 26 games and their counter parts have just managed to get 10 points so far and are at the very bottom position.